SALMON GLACIER | British Columbia ROCKS! 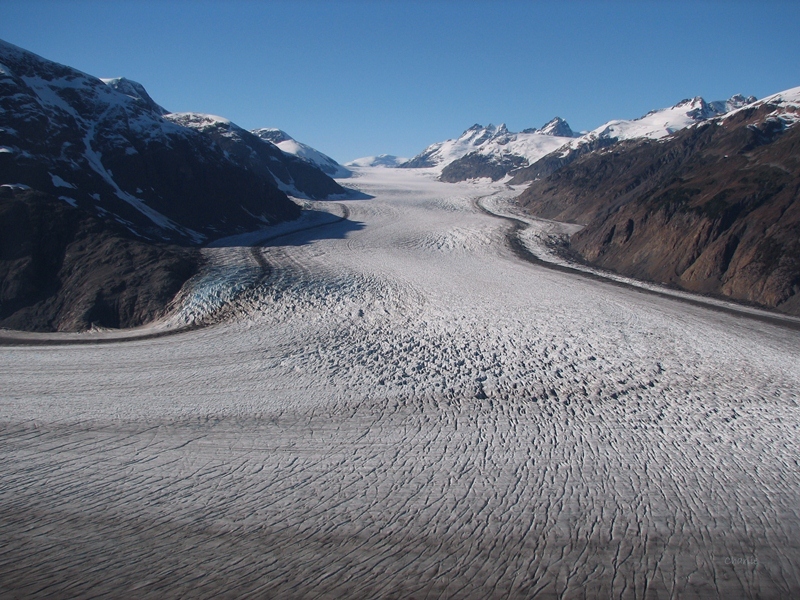 Did you know British Columbia has the 5th largest glacier in North America? It resides in the north west corner of the province just north of Stewart and only accesible by driving through Hyder, Alaska. The road through Hyder climbs and heads back into B.C. Have the camera ready as the trip (approx 30 minutes or so in dry weather) passes by Fish Trap Creek. This is an area where Grizzly Bears are seen on a frequent basis as they look for spawning salmon in late summer. The US Forest Service has built an elevated deck so you can actually look down upon these large bears. If you encounter them on the road, and it is likely you will, remain in your vehicle. Passing old unused mining equipment alongside the road and some operating mines, you eventually reach an area that allows you to catch a glimpse of the glacier. You marvel at the size of it as the trees part offering a better view. A little farther along you will find a number of great viewing areas, much like the one where this photo was taken. Have a picnic while looking at this huge glacier. A View of Salmon Glacier-Head on! If you drive beyond this area, along the road you can see some other spots that offer intriguing views. Old Miners Cabin with Salmon Glacier as a Backdrop! If you driver further yet you come to an old dirt road that will take you down to the right of the area shown above. ALWAYS be on the watch for bears as this is where they live. You cannot outrun a bear so be careful, be Bear Aware! Take in the purity of the air, the fantastic scenery and the history. Continuing your drive along the road you would end up near the old Gran Duke Mine, long since shut down though there have been some intention to explore re-opening it again. When driving into this area late in the year be mindful of the weather as snow can happen at short notice and it will snow many feet during the course of a snowfall. Enjoy this particular piece of British Columbia. Not many people have a chance to view it. 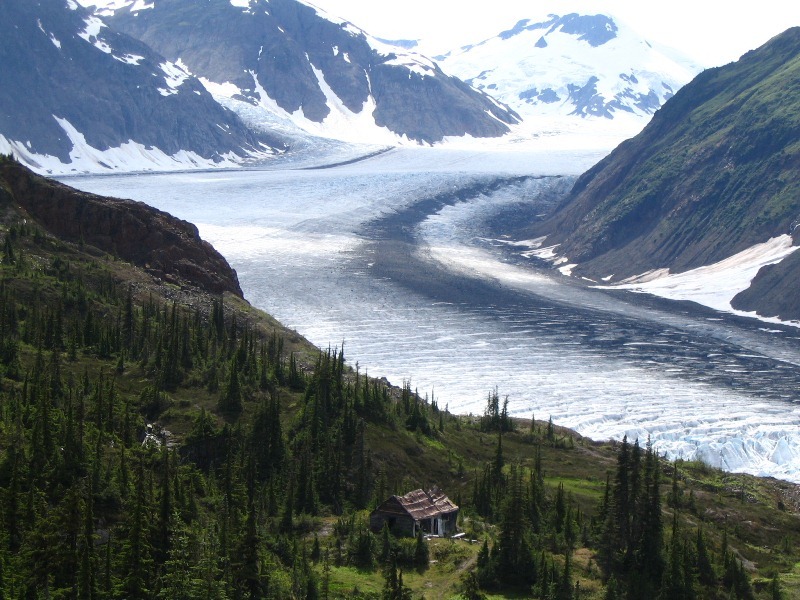 This entry was posted in British Columbia and tagged Alaska, british columbia, Glacier, Hyder, Salmon Glacier, Stweart B.C., Tourism. Bookmark the permalink.